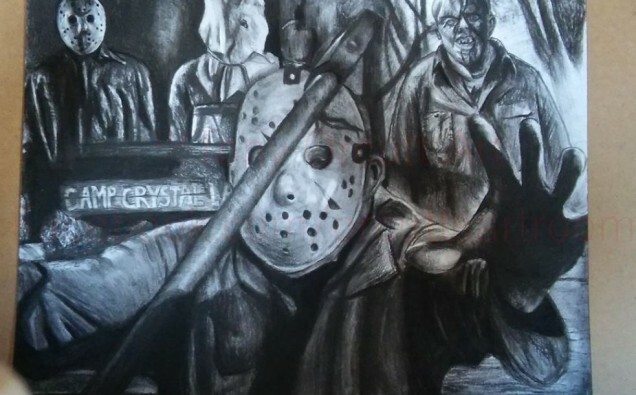 Tony unleashes iconic horror characters in traditional style. In an age of Photoshop and graphic design, the aspect of putting the pencil to the paper seems to be a thing of the past. 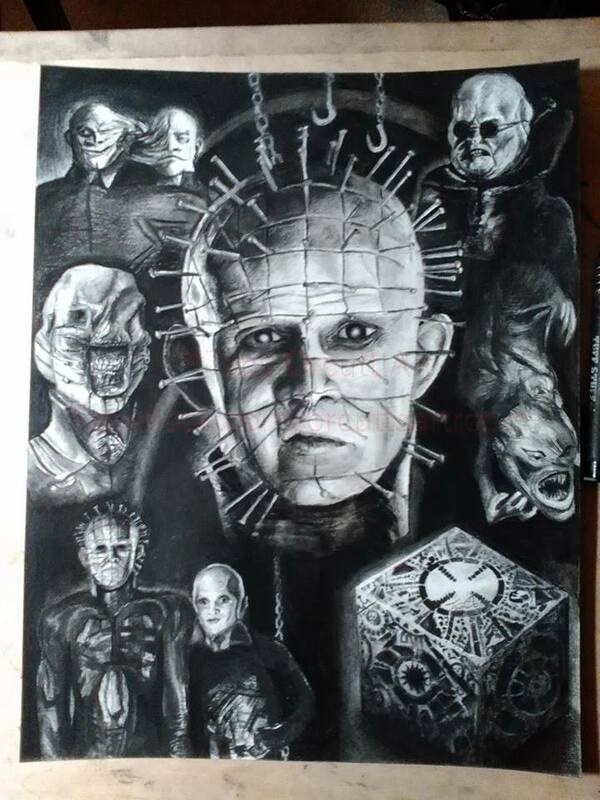 Not for Tony Orcutt though, this traditional artist resides in San Antonio Texas, and creates the most compelling works of horror characters I have ever seen in such a style. Tony was kind enough to put his pencil down for a few ticks this week and talk to me. Matthew Myers: Thank you for allowing me to interview you Tony, we here at TheBlood-Shed are big fans of your work. How old were you when you started drawing? Tony Orcutt: Thanks Matt, I remember drawing back in the second grade, I took second place in the Western Art Fair. I didn’t draw that often growing up, and after high school I quit drawing completely. It wasn’t until I got laid off from a good job in February 2014, and had a lot of time on my hands that explored art again. As soon as I started I become focused and dedicated, I was able to pick it back up rather quickly. MM: When did you discover that you were a horror fan? 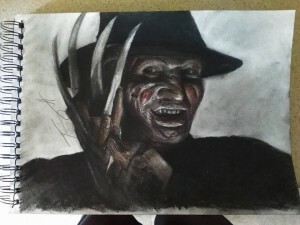 What inspired you to start drawing iconic horror characters? MM: I agree. Obviously you are extremely talented, and there is a high demand for your work. 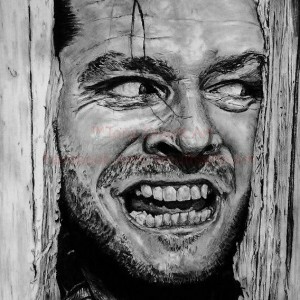 I want a few of your drawings myself, and to have you make me a custom piece of the house in Psycho too. When did you realize you could sell your work? 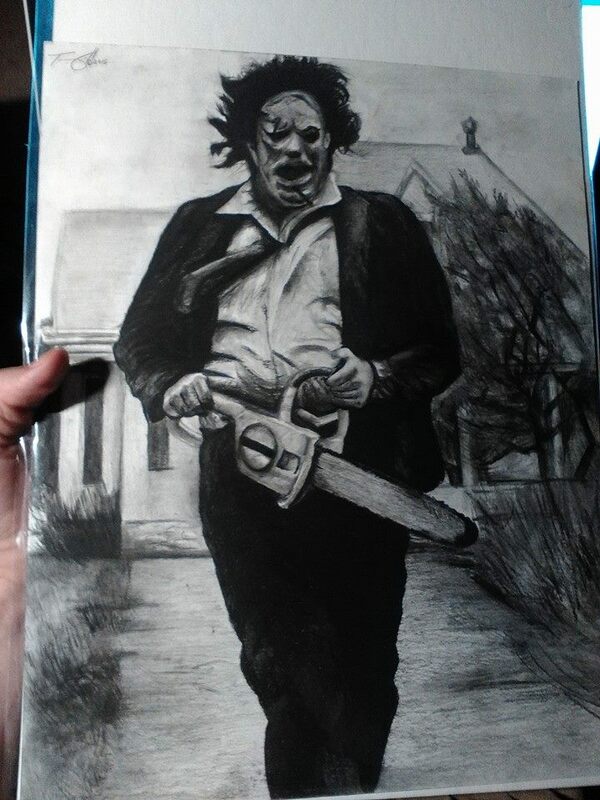 TO: Thank you Matt, I would love to do something custom for you with Alfred Hitchcock, and incorporating the house from Psycho is a definite must. 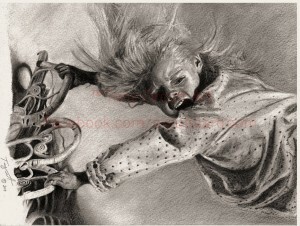 I think it was my fifth drawing that I did when I realized my work was marketable. It was from The Shining, it gave me a lot of confidence that I could do this full time for a living. MM: You have over 10,000 likes on your Facebook page, congratulations! You also have an online shop where clients can purchase your work on Etsy, how have people responded to it? TO: Yes, I have been shocked at the way my art has been received as of late. If you would have told me a couple of years ago that I would be a full time artist with a demand for my work I don’t think I would have believed it. It is the people that support my page and my art that keep pushing my potential to create art. I am very appreciative of everyone. MM: What events do you attend, were you involved with Comic Con this year? TO: I recently just started attending events, I am still getting my feet wet, but they have been extremely successful for me in recent months. 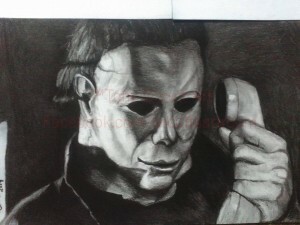 I am interested in doing Horror Hound, Texas Frightmare, and the Days of the Dead conventions. San Diego Comic Con would be a lot of fun too, but I still have a lot of work ahead of me. MM: I have no doubt you will be successful in your career and will get to Comic Con in the future. Thank you for your time, and the best of luck to you Tony! TO: Thank you Matt for taking the time to interview me, and for taking an interest in my work. You can check out Tony Orcutt’s Facebook page by clicking here, stop by and give it a Like. You can see more of Tony’s amazing work at his online store by clicking here.